Fishers  is a city in the Nine-County Region of Indiana. Fishers is located, north of Indianapolis just off Interstate 69, a major north-south highway in Indiana. In addition to the Col. Weir Cook Indianapolis International Airport , located off of I-70 in Indianapolis, smaller planes can schedule a landing at one of two airports in Hamilton County and nearby Boone County, located just west of Hamilton County. Both offer aircraft charter, sales, rental, catering, flight school and more. Hamilton County Tourism, Inc.  37 East Main Street, Carmel (Indiana) 1-800-776-8687 or 1-317-848-3181. Not-for-profit tourism organization that promotes and encourages the development of Hamilton County tourism, conventions, festivals and other special events. Staff are very helpful and welcome visitors who need information. Visit visithamiltoncounty.com for a full event calendar and interactive map of destinations, golfing, restaurants, shopping and places to stay. Nickel Plate Arts Campus 107 South 8th Street. (317) 452-3690. Wednesday, noon - 5 p.m.; Thursday - Friday, noon - 5 p.m. and 5 - 8 on First Friday Events; Saturday, 10 a.m. - 5 p.m. Open later for special events. Carmel Visitors Center 37 East Main Street, Carmel, IN 46032. Monday - Friday, 9 a.m. to 5 p.m.; Saturday, 10 a.m. to 5 p.m (later for special events). ; Sunday, 12 - 4 p.m.
Noblesville Visitors Center 839 Conner Street, Noblesville, IN 46060. (317) 848-3181. Monday - Friday, 10 a.m. to 5 p.m.; Saturday, 10 a.m. to 5 p.m. (later for special events); Sunday, 1 - 5 p.m.
General speed is between 55-70 on interstates and highways, and generally 35 on other roads unless otherwise posted. The Historic Ambassador House & Heritage Gardens 106th & Eller Road "1-317-845-4265". The Ambassador House &Heritage Gardens is on its way to new life. After years of preparation, research and planning, the renewal of the home and development of surrounding heirloom gardens has officially begun. As an educational venue, The Ambassador House will help to tell the story of Fishers, from its pioneers and Ambassador through today's history makers. Programs are being planned in conjunction with Hamilton Southeastern Schools to bring the stories of the home's former inhabitants to life. Museum exhibits focused on local heritage are also planned. Nature lovers and gardeners alike will enjoy a sanctuary within suburbia in the Victorian era heritage (heirloom) gardens surrounding the house. Arts, cultural and civic organizations and the community will be able to use the house and gardens as a performance, exhibition and meeting place. Conner Prairie Living History Museum 13400 Allisonvile Rd, 1-317-776-6000. Set in the 1880s, Conner Prairie is an outdoor history museum and an Indiana tradition. With volunteers dressed in period-costume year round you are able to experience every aspect of the way of life - from blacksmithing to cooking, games and schooling, farming and church. Start at the modern museum learning about the science and anthropological history, and visiting the indoor exploratory exhibits. Then head to the living history museum featuring authentic buildings from the 1880s. After looking around, hike the new nature trail to learn about the plants and animals around the park. In the summer the grounds feature 'Symphony on the Prairie' where one can picnic in the evening and enjoy live classical and pops performances. Halloween features haunted hay rides and the Holiday season includes dinners, candlelight tours and other celebrations. Restaurants on hand and a gift shop too. Parking is free. Kids can go to a prairie school, train for the militia or talk to the town doctor about “modern” cures. The 1859 balloon flight experience, based on the Lafayette (Indiana) launch of John Wise’s “flying machine," is open. Check the website to see if the balloon is flying on the day that you visit. The 1863 Civil War Journey tells the story of Morgan's Raid in Dupont, IN with interpreters, videos, and more . Admission is $15 adults, $14 seniors 65+, $10 youth 2-12, Free for members & youth under 2. Group admission: (15 guests or more): $11 adults, $7 youth (2-12). Balloon Voyage tickets: $15 ($12 members). Indiana Transportation Museum  825 Park Dr. in Forest Park 1-317-773-6000. A volunteer-run museum specializing in the railroad history of Indiana. Ride along in an old steam or diesel train along 35 miles of rails the museum maintains along the old Nickle Plate Road. Regular excursions include The Hoosierland and The Blue Arrow. Seasonal excursions include the FairTrain, Lights Over Morse Train, New Earth Festival Train and the Tipton County Pork Festival. Check out more then 50 rail cars of all shapes and sizes on the museum grounds, open April through January. Excursion fees vary; check the website or email [email protected] for more information. Fishers is known as a fast-growing, family-friendly town. There are a number of things to do for families, especially those with young children interested in sports. Hearthside Suppers at Conner Prairie (January-March) 13400 Allisonville Road. 1-317-776-6006. Ever wondered what people ate for dinner in the early 1800s? And how it was prepared? 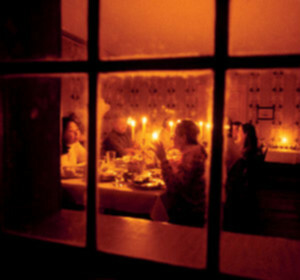 Discover those answers firsthand when you and your family join in the preparation of a candlelight feast served inside the historic Conner House. Recipes are straight from the pages of a 19th-century cookbook. 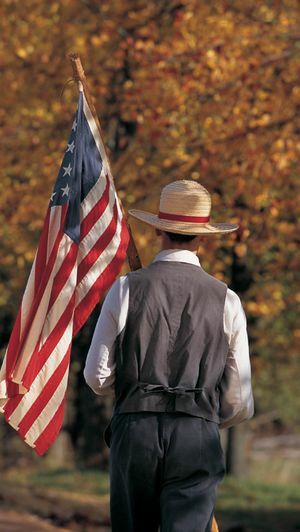 Civil War Days at Conner Prairie (May)  13400 Allisonville Road. 1-317-776-6006. Each May, Civil War re-enactors converge on Conner Prairie’s grounds to portray a battle reenactment demonstrating military tactics of the Civil War period. Even though the war rarely reached over the Indiana border, historians rank Indiana second among Northern states in the percentage of men who served in the armed forces. Interest in the military tactics and equipment from the time period remains strong; expect crowds. Fishers Freedom Festival at Roy G. Holland Memorial Park (June)  1 Park Drive off Holland Drive & Ellipse Parkway, Fishers, IN 46038. (317) 595-3195. Held the weekend before the 4th of July holiday, this community festival attracts tourists too because of the sheer amount of things to do. Arts, crafts, food, business vendors, live music, 5K walk/run, K-9 demonstrations, teen tent, street dance, parade, fireworks, etc.etc.etc. Free admission. Fishers Farmers Market (June-October)  One Municipal Drive, Fishers, IN 46038. 317-578-0700. Located in front of the Fishers amphitheater on the north side of Fishers Town Hall, The market selection includes locally grown fruits, vegetables, and many specialty items including fresh meat, eggs, honey, coffee, salsa, jams, eggrolls, hot breakfast items and sweet treats. Glorious Fourth at Conner Prairie (Early July)  13400 Allisonville Road. 1-317-776-6006. Glorious Fourth is a sampling of how Independence Day was celebrated in the 1800's. It's a red, white and blue weekend of patriotic feasts, games and fun sure to create memories and smiles all year long! Fishers Art in the Park (August)  116th Street & I-69 "1-317-572-7871". Local artists will display and sell their art on the lawn in front of Fishers Town Hall. Held in conjunction with Fishers Chamber of Commerce’s Farmers Market, the event offers a fun-filled day for families and art enthusiasts alike. A Children’s Art Area will feature hands-on art projects for budding young artists while local performers will provide live entertainment throughout the event. FairTrain (August)  Fishers Train Station, 11601 Municipal Dr. 1-317-773-6000. Take the train to the Indiana State Fair in Indianapolis, IN. Enjoy the ride in air-conditioned comfort and forget the traffic & parking hassles! 10 round trips daily. Free parking. No reservations needed. Fishers Renaissance Faire (Early October)  Saxony, at 136th & Olio Rd. Stroll back through time in a recreated 16th Century British Village, watch knights jousting on horseback, attend the court of Queen Elizabeth, be entertained on three strages by magicians and interactive performances, play games at Kid's Karnival and shop at over 60 unique artisan booths. Eat "dragon legs" as you experience life in the renaissance, created by re-enactors in authentic costumes. Admission is charged. Headless Horseman at Conner Prairie (October)  13400 Allisonville Road 1-317-776-6006. For more than a quarter of a century, Conner Prairie has been transformed into a live-action version of The Legend of Sleepy Hollow each October, with nightly appearances by the Headless Horseman (in addition to other Halloween-themed activities). The moonlight “haunted” hayrides are always a sell out on the weekends. Go during the week if you can. Follow the North Star (November and April)  13400 Allisonville Road 1-317-776-6006. Conner Prairie has created a unique program that let’s you learn first-hand about how the Underground Railroad functioned in 19th-century America. You become the fugitive slave in this interactive encounter, and Conner Prairie staff become the slave hunters, friendly Quakers, freed slaves, and Railroad Conductors that decide your fate. It is a dramatic and emotional experience, one that may stay with you for a while. Holiday Fun at Conner Prairie (December)  13400 Allisonville Road 1-317-776-6006. Through the month of December, celebrate the holiday season at Conner Prairie indoors and out! Make lasting memories with your family and friends - take a horse-drawn wagon ride outdoors, have dinner with Santa or enjoy a candlelight tour through Prairietown. Events include 1863 Outdoor Adventure, Gingerbread Village, Conner Prairie by Candlelight, Breakfast with Santa, Dinner with Santa, and Bill Hixson's Holiday Ornaments & More. Symphony on the Prairie (June-August)  13400 Allisonville Road 1-317-776-6006. Join the Indianapolis Symphony Orchestra on the grounds of Conner Prairie for an evening concert. Your ticket gives you access to extraordinary music and admission to one of the most beautiful outdoor entertainment venues in central Indiana. Music at the Amphitheater (June-August)  Downtown Fishers, Fishers, IN 46038. 317-595-3150. The Fishers "The Amp After Dark" concert series is back in the Nickel Plate District all summer long. Friday night will feature a variety of artists and welcome adults in the Nickel Plate District to dance the night away under the summer stars. Other outdoor concerts occur all summer long during the day. Fishers Arts Council  Fishers Arts Council was created to enrich the quality and economic vitality of the community by expanding and supporting local arts and culture. Nickel Plate District Amphitheater  1 Municipal Drive. (317) 595-3111. The Nickel Plate District Amphitheater hosts a wide variety of activities such as the Summer Concert Series, food and drink events, holiday programs, farmer's markets, and more. Billericay Park 126th Street and Promise Road. Seven lighted baseball diamonds are the centerpiece of this park, which also has a play area, woodlands, walking trail and concessions building. Brooks School Park 11780 Brooks School Rd. 16.5 acres with playground, basketball court, horseshoe pits and a loop walking trail. Cheeney Creek Natural Area 11030 Fishers Pointe Blvd. A 25-acre natural wildlife habitat provides hiking, birding and fishing. Primitive and rugged. Cumberland Park 10580 Cumberland Rd. 40-acre park is accessed through a housing subdivision. Includes seven soccer fields, wooded area, community building and shelter. Cyntheanne Park 12382 Cyntheanne Rd. Cyntheanne Park serves as a destination park for all ages and interests, adding much needed facilities to the Town's athletic field inventory while also providing opportunities for non-structured play, trail use and nature appreciation. Playgrounds complete this multi-functioning facility which opened September, 2010. Fishers Heritage Park at White River 10595 Eller Road. Wooded, 33-acre greenspace with hiking/biking loop trail, bird watching and nature study. Also home to the Ambassador House, a National Historic Register home. Hamilton Proper Park 10525 Hoosier Rd. A 19-acre facility, Hamilton Proper Park is located on the southeast intersection of Hoosier Road and 116th Street and is accessed from Hoosier Road, approximately .12 miles south of 116th Street. This is a popular spot for youth soccer games all season long! Harrison Thompson Park 13573 Conner Knoll Pkwy. Accessed through a housing subdivision, this 11-acre park includes a playground, grills, soccer fields, baseball diamond and restroom building. Hoosier Woods 10034 E. 121st St. Natural area with short soft-surface woodland trail. Located next to Hoosier Road Elementary School – use of playground facilities allowed during non-school hours. Ritchey Woods Nature Preserve 10410 Hague Road. Formerly owned by The Children’s Museum of Indianapolis, this 42-acre site is an Indiana State Designated Nature Preserve. The remaining 85 acres is under a state conservation easement. The site offers five different trails totaling 2 miles and a shelter area. Guided hikes and programs also are available. Roy G. Holland Memorial Park One Park Drive. This 34-acre park is accessible through a housing subdivision. Offers soccer fields, sand volleyball, baseball and softball, basketball courts, two playground areas and picnic shelters. Ben & Ari’s  State Road 37 and 141st St. 1-317-770-5294. This is a pre-teen’s dream destination. Miniature golf, mini-pin bowling, huge arcade, picnic area and loads of opportunities to win tickets that can be exchanged for prizes. Fishers YMCA  9012 E. 126th St. 1-317-595-9622. Yes, the YMCA is a member-only organization, but this branch has a variety of events all year that are open to non-members. It's worth a phone call if you are in the area. Pinheads  13825 Britton Park Rd. 1-317-773-9988. Attractions include bowling, billiards, mega-arcade, duckpin style bowling, Louie's Bar and Restaurant, beach volleyball and a Play-A-Lot indoor playground. Smoke-free facility. Gray Eagle Golf Club  12500 Brooks School Rd. 1-317-845-2900. Public par-72 course also offers golf simulators in the winter months. Ironwood Golf Club  10955 Fall Rd. 1-317-842-0551 R.N. Thompson course with 27 new holes, offered in three nines (Lakes, Valley and Ridge). Create your own course! River Glen County Club  12010 Clubhouse Dr. 1-317-849-8274 Public par-71 course in one of the most scenic settings in Fishers. Area hotels offer a “Stay and Play” package for this course. Billericay Park 126th Street and Promise Road. Seven lighted baseball diamonds are the centerpiece of this park, which also has a play area, woodlands, walking trail and concessions building. Host to a variety of youth baseball events. Eller Fields 10198 Eller Road. This 4.5-acre park offers two lighted ball fields (baseball and softball) and playground equipment. Mudsock Fields 12160 Packers Ave. Three football fields with bleachers, scoreboards and concessions building. Olio Fields 14181 E. 126th St. Located behind Hamilton Southeaster High School, this 18-acre park offers six softball fields and one baseball field. Playground and concessions facilities also available. Indiana Fieldhouse  11825 Technology Dr. 1-317-842-2255. A 53,000-square-foot, six court basketball facility that hosts “Little Dribblers", semi-pro and amateur tournaments and a hoops academy. Called one of the finest basketball facilities in the United States by USSSA and AAU officials. Symphony on the Prairie Conner Prairie, 13400 Allisonville Road. The Indianapolis SymphonyOrchestra presents Marsh Symphonoy on the Prairie. The stage is set for a magical summer with renowned artists and an amazing season line-up. Nickel Plate District Amphitheater 1 Municipal Drive. (317) 595-3111. The Nickel Plate District Amphitheater hosts a wide variety of activities such as the Summer Concert Series, food and drink events, holiday programs, farmer's markets, and more. Fishers Chamber of Commerce  11601 Municipal Drive. 1-317-578-0700. The Chamber can provide information about area businesses and upcoming events. Hamilton County Tourism, Inc.  37 East Main Street, Carmel (Indiana). 1-800-776-8687 or 1-317-848-3181. Not-for-profit tourism organization that promotes and encourages the development of Hamilton County tourism, conventions, festivals and other special events. Staff are very helpful and welcome visitors who need information. Visit visithamiltoncounty.com for a full event calendar and interactive map of destinations, golfing, restaurants, shopping and places to stay. Conner Prairie Museum Shop . 13400 Allisonville Rd. 1-317-776-6000. The museum shop is unique shopping experience. The shop is stocked with items that are perfect for gift giving, decorating your home and serving as a keepsake reminder of your visit. Don't miss the heirloom seeds and gourmet foods including jams, soups and old fashion candy. Herbal Arts  11650 N. Lantern Road. 1-317-418-8227. This intimate studio featuring handmade soaps, candles, body mist, and other specialty products is perfect for gifts or a personal treat. A member of the Nickel Plate Arts Trail and part of the Indiana Artisan program, Herbal Arts products are tested on humans (not animals) and are made from certified organic materials, many of which are locally grown. With wonderful smelling, healthy, chemical free products, what's not to love? Herbal Art specializes in green, eco-friendly wedding and specialty gifts as well as customized gift colections. Open: Thursday-Friday, 11 a.m. to 5 p.m.; Saturday, 11 a.m. to 1 p.m. Monday-Wednesday, by appointment. Gallery 116  8597 East 116th Street. 1-317-577-9730. Gallery 116 offers an eclectic mix of hand-crafted jewelry, gifts and home decor from a wind range of local and National artists. Located in a charming bungalow in the heart of Fishers. Dream Weaver Salon & Day Spa  11061 Allisonville Rd. 1-317-595-6000. The 3,500-square-foot spa has 8 hair styling stations, 2 manicure stations, 2 pedicure stations, 2 massage rooms, 2 facial rooms and a make-up area. Fishers is a growing location for chain restaurants, but there are a few locally-owned places to try as well. Peterson's Restaurant  7690 E. 96th Street 1-317-598-8863. At Peterson's, our passion is serving up the finest food, atmosphere, and service in the greater Indianapolis area. Locally owned and operated, Peterson's restaurant is a dream come true for successful business owner Joe Peterson and his family. Joe's desire is to provide an unmatchable ambience serving only the best to patrons. Nickel Plate Bar & Grill  8654 E. 116th St. 1-317-841-2888. Features American pub food including the breaded tenderloin, which some claim originated in Indiana. Sahm’s  116th & Allisonville 1-317-842-1577. Sahm’s is the family owned flagship restaurant of a group of restaurants that have been open for more than 20 years. Sahm’s makes its own soups, sauces and breads. The sour cream coffee cake is not to be missed. For huge breakfasts at a reasonable price, try The Roost across the street (another Sahm’s restaurant). Rita’s Backyard Garden and Tea Room  12244 East 116th Street. (317) 842-0235. Lunch served Tuesday - Saturday, 11 a.m. - 2 p.m.
Wolfies Grill – Fishers  7695 Crosspoint Commons. (317) 913-1272. Wolfies Grill serves spirits, sport, great food and live entertainment. Handel’s Homemade Ice Cream  8760 E. 116th St. 1-317-585-8065. With locations across Ohio, Pennsylvania and Virginia, this isn’t a Fishers-only stop. But the ice cream is really good and the location is on the main drag of the old downtown area, only two blocks from the municipal town center, so it is fun for people watching too. Try a Handel’s Pop. Orange Leaf Frozen Yogurt  11675 Olio Road. 1-317-436-8955. Orange Leaf Frozen Yogurt is fun, healthy treat that you make yourself! Create whatever you like for .45/ounce. Gigi's Cupcakes  8981 East 116th Street. (317) 577-2253. Each delectable Gigi’s cupcake is baked every morning, with only the freshest ingredients. Cupcake menu changes daily. Chateau Thomas Winery 8235 East 116th Street 1-317-849-9463. Chateau Thomas Wine Bar and Gift Shoppe in Fishers Town Commons offers award-winning wines, gourmet foods, gifts, live entertainent and meeting room. Harmony Winery 7350 Village Square Lane Suite 200, Fishers, IN 46038. (317) 585-9463 Harmony Winery is a small winery producing all wines from juice. Sample award-winning wine or create your own wine. Fishers' growth means there are a number of reasonably priced chain hotels to accommodate visiting friends, family members and groups. Please visit each property's website for more information for booking and rates. AmericInn Hotel & Suites  9780 North by N.E. Blvd. 1-317-578-9000. 78 rooms. This hotel offers complimentary breakfast, business center, WiFi, fitness room, and pool. Free parking. Comfort Suites Fishers/Indianapolis Northeast  9760 Crosspoint Blvd. 1-317-578-1200. 65 suites with coffee makers, microwaves, refrigerators, irons, ironing boards and hair dryers in every room. An indoor pool, exercise facility, business center and deluxe continental breakfast are included. Jacuzzi suites are available. Meeting space accommodates up to 40 people. Free parking. Hampton Inn & Suites Fishers  11575 Commercial Dr. 1-317-913-0300. This beautifully decorated hotel offers complimentary hot and cold breakfast, a hospitality reception, high speed internet access and a 'Suite' Shop stocked with goodies. Also featuring studio-suite rooms, jacuzzi rooms and fireplace room. Located close to shopping, dining, businesses and attractions. Hilton Garden Inn Indianapolis NE/Fishers  9785 North by Northeast Blvd. 1-317-577-5900. 110 rooms/suites. This beautiful hotel offers The Great American Grill, Pavilion Lounge, indoor pool, whirlpool, fitness center, 24-hour Pavilion Pantry convenience mart and complimentary business center. All guest rooms include microwave, refrigerator, coffee maker, hair dryer, iron & ironing board, complimentary high speed internet access, remote printing to the business center, two phones/one with two-line speakerphone and large work area. Meeting space accommodates 100 people. Holiday Inn Express Fishers 9791 North by N.E. Boulevard. 1-317-558-4100. Cutting-edge design and unequaled service, heated indoor pool & hot tub, 24-hour complete fitness center, Golden Bean Café serving breakfast and dinner, morning and evening room service, coffee bar, Phi martini bar. Pillow top mattresses, 32” flat panel HDTV’s, spa inspired bathrooms featuring AVEDA bath products. Free parking. Free wireless and wired internet access, coffee makers, hair dryer, iron & ironing boards and nature inspired murals in all guestrooms. Free local calls, 24-hour business center. Pet friendly hotel. Meeting space for up to 100 people. Priority Club Member Rewards. Residence Inn by Marriott Fishers 9765 Crosspoint Blvd. 1-317-842-1111. 78 suites (studios and 1 and 2 bedrooms available). An indoor pool, sport court, exercise room, whirlpool, fully equipped kitchens, complimentary grocery shopping, HBO/cable and on-site guest laundry are included at this hotel. A complimentary hospitality hour Mon. through Thur. Special rates for extended stay are available. Meeting space accommodates 10 people. Free parking. Staybridge Suites Indianapolis-Fishers  9780 Crosspoint Blvd. 1-317-577-9500. 146 rooms. This all suite hotel offers 3 suite options each with full kitchens, complimentary full hot breakfast, free guest laundry, a fitness center, indoor pool, whirlpool, HBO/cable, a library and free evening socials. High speed internet access, a business center and two phone lines are also provided in each suite. Meeting space accommodates up to 12 people. Free parking. Baymont Inn and Suites  9790 North by N.E. Boulevard. (317) 578-2000. 140 guestrooms including 24 suites with Jacuzzi tubs. Free hot breakfast buffet. Outdoor Pool. Free wireless and wired internet access, coffee makers, hair dryer, irons & ironing boards in all guestrooms. Fitness center, evening room service, free parking, complimentary movie channel and free local calls. Free use of computer work stations in lobby. Pet friendly hotel. Meeting space for up to 45 people. Priority Club Member Rewards. Prairie Guest House  13805 Allisonville Road. (317) 663-8728. In a farmhouse setting, with beautiful gardens and fresh breakfast, guests won't want to go home. The Prairie Guest House has 9 guest suites with private baths. Some suites have access to exterior decks and patios to enjoy. An onsite yoga studio, walking spaces, shade trees and friendly hospitality, guests are sure to enjoy their stay. Conveniently located across the street from Conner Prairie Interactive History Park. Springhill Suites by Marriot Fishers  9698 Hague Road. (317) 841-0416. 130 stylish suites with separate working & sleeping areas. A non-smoking property, Springhill Suites rooms are 25% larger than comparably priced hotel rooms. Located near Verizon Wireless Music Center, Conner Prairie and RPM Collection. Hotel features: Pantry with sink, microwave & refrigerator; large desk, free Wi-Fi, voice mail, data port, hair dryer, iron/ironing board, in-room coffee/tea, cable TV, in-room movies, daily housekeeping. For more information about Fishers, contact Hamilton County Tourism, Inc. at 1-800-776-8687 or visit visithamiltoncounty.com for a full event calendar and interactive map of destinations, golfing, restaurants, shopping and places to stay. This page was last edited on 18 July 2014, at 13:50.